The 16 Relay For Life events across Southern Illinois are coming together to participate in a united fundraising effort hosted by the American Cancer Society. Although the Relay For Life events across Southern Illinois are complete, the volunteers work year-round to raise funds. Participants will be able to select which Relay For Life event and/or team they would like their registration to benefit. The funds raised will support groundbreaking cancer research, education and prevention programs, and critical services for people facing cancer. 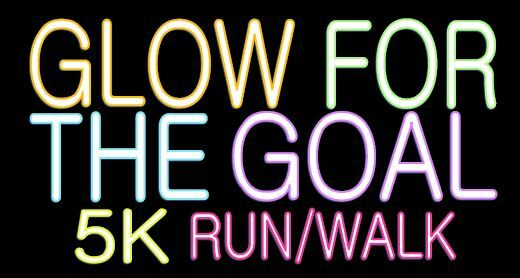 This 5K is different because the race takes place at night and participants light up the course with glow sticks and accessories of their choosing and after the race, participants are treated to a post-race party with snacks, a DJ, a photo booth and awards. The 3.15 mile course is a fast and flat loop on low-traffic roads. Timing services will be provided by Run To Succeed. Early registration ends July 24th and the $25 registration fee includes a t-shirt, glow necklace, and glow bracelet. Day of registration is also $25, but a t-shirt is not guaranteed. Other glowing items will be available for purchase that night. Medals will be awarded to the top run and walk finishers. There will also be an award for most glowed out individual. Contact the American Cancer Society at 4503 W DeYoung Suite 200 C Marion, IL 62959 or 618-998-9898 option 3 to register. Or find the form on the Massac County Facebook Event Page. This entry was posted in All the Buzz - Bee Informed, Just BEEcause and tagged American Cancer Society, Race on July 16, 2015 by massacbeeswax.